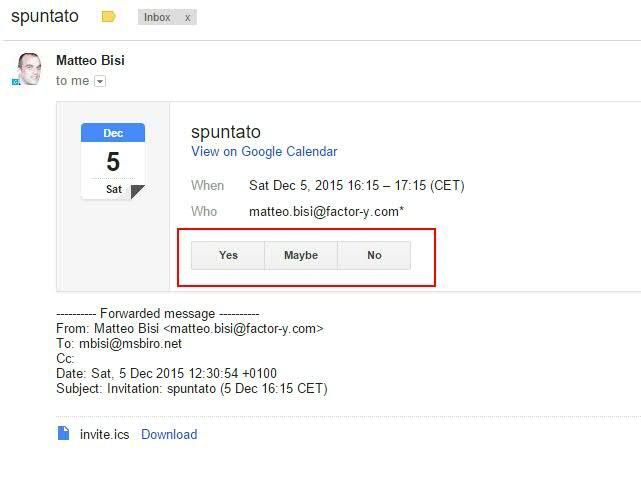 When you are sending meeting invitation from Domino users to other mail system you could have some issue for example about accept/decline button. 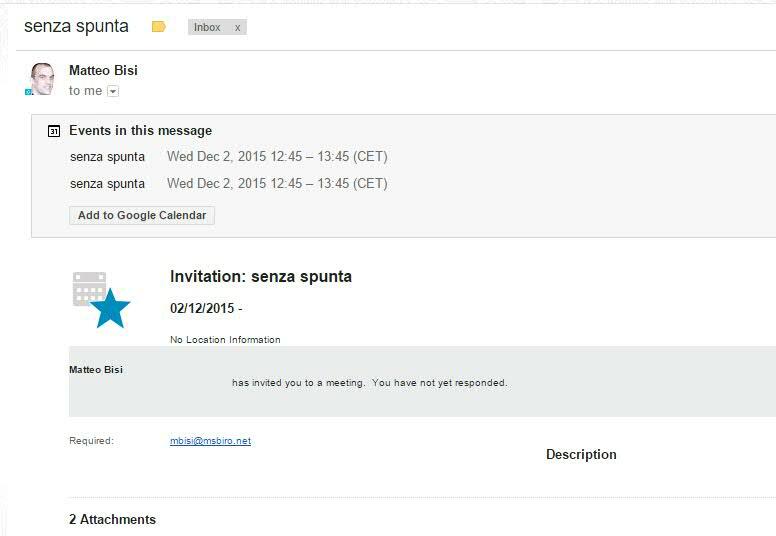 The recipient could add the invitation to his google calendar but without a button to accept or decline the invitation the meeting chief will not receive update on invitation so he is not able to see if a user has accept the meeting. Fortunately starting from Domino 8.5.1 we could fix this behavior using notes.ini (that could be deployed to Notes client through desktop setting) or using a Mail settings inside a policy. 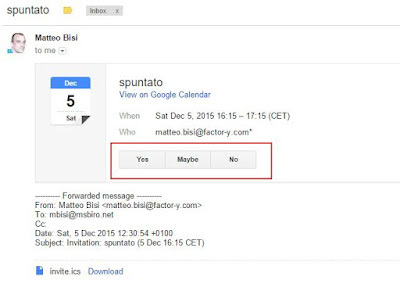 3 - Option is displayed but is locked on for all meetings.. 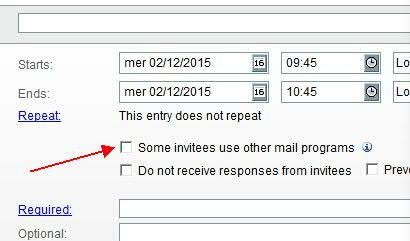 If you select the check box sending the meeting to Gmail user you will fix the issue and you will get a correct invitation with all button to accept or decline the invitation that will be send the status back to the Notes user so the meeting chief could have the correct status about invitation. The other and more complexed whay could be using a Mail settings where you can have more options but not the equivalent to $CSCompatibilityMode=3. Setting "manual control compatibility mode with checkbox" you will have an equivalent of $CSCompatibilityMode=2. Obviously using this way could have a better behavior for all mail system but you have to manually maintain the table with the corrispondance between domain and mail system . In theory the invitation with more issue could be the one with repeating meeting because have different architecture in Domino than other but the issue occurred at the top of this article was on a single time meeting. If you will use $CSCompatibilityMode you have to set it on client and server. 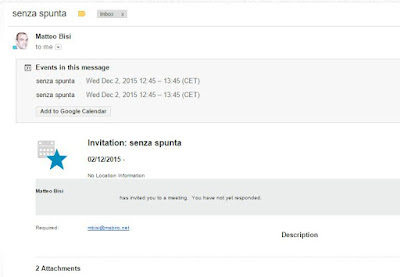 In Connections Cloud hybrid architecture the invitation sent from IBM Verse or iNotes was already working correctly. Here a link to IBM Domino's wiki about meeting compatibility here a technote with some screenshot about client detection and here something about $CSCompatibiltyMode ini setting.